Featured amenities include express check-in, express check-out, and a 24-hour front desk. Planning an event in Genk? This hotel has facilities measuring 2647 square feet (246 square meters), including conference space. Self parking (subject to charges) is available onsite. Featured amenities include dry cleaning/laundry services, multilingual staff, and luggage storage. 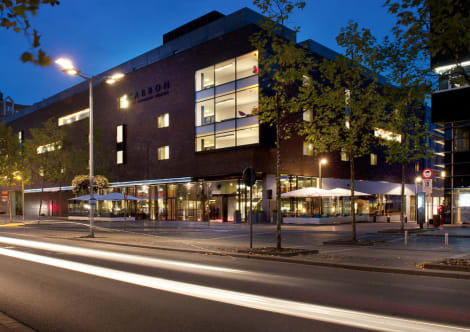 Planning an event in Genk? This hotel features 1184 square feet (110 square meters) of event facilities. Free self parking is available onsite. Quench your thirst with your favorite drink at the bar/lounge. Breakfast is available daily from 6:00 AM to 10:00 AM for a fee. Grab a bite at Molenvijver, a restaurant which features a bar and a garden view. You can also stay in and take advantage of the room service (during limited hours). Buffet breakfasts are available daily from 7 AM to 11 AM for a fee. lastminute.com has a fantastic range of hotels in Genk, with everything from cheap hotels to luxurious five star accommodation available. 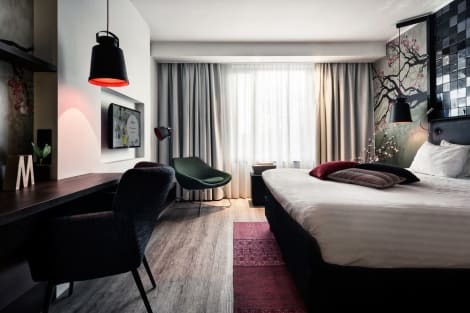 We like to live up to our last minute name so remember you can book any one of our excellent Genk hotels up until midnight and stay the same night.